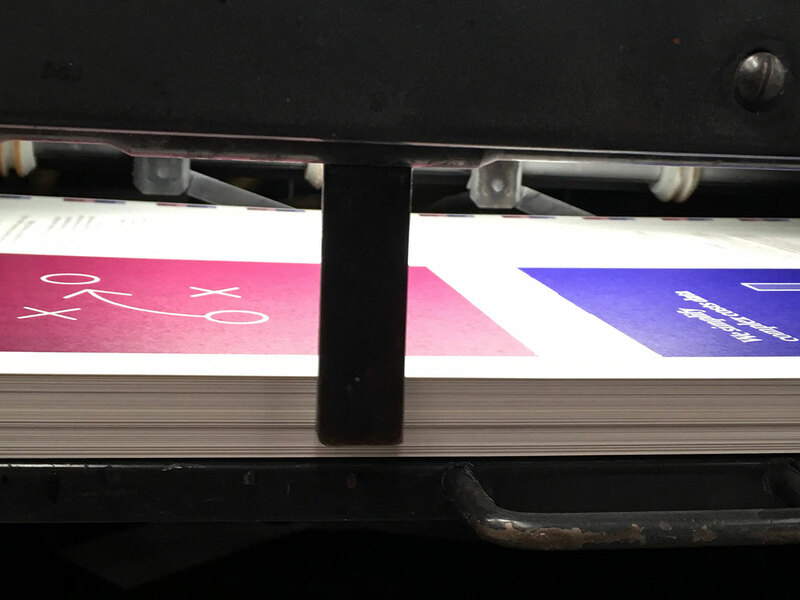 Today a visit to Druckerei in St. Pauli. 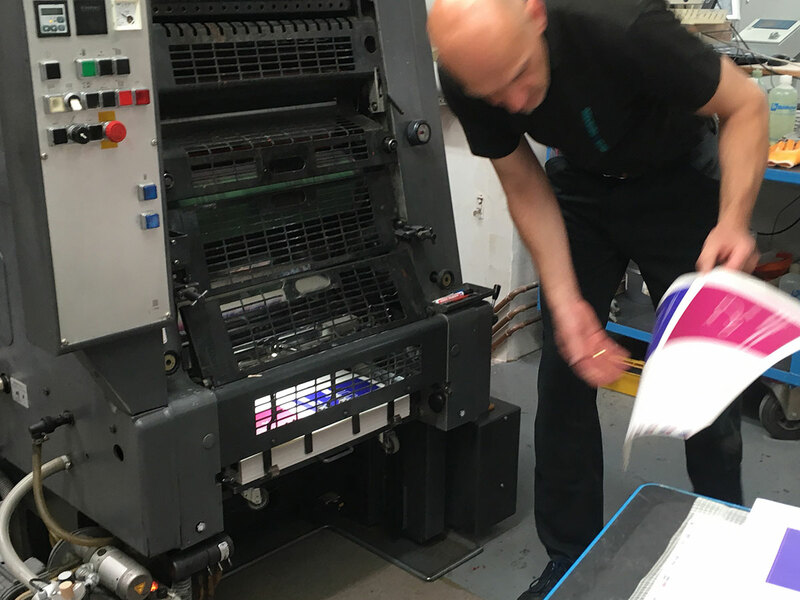 With the helpful assistance of Stephan Haupt, we've been checking the print run of our promotional brochure for Practico. 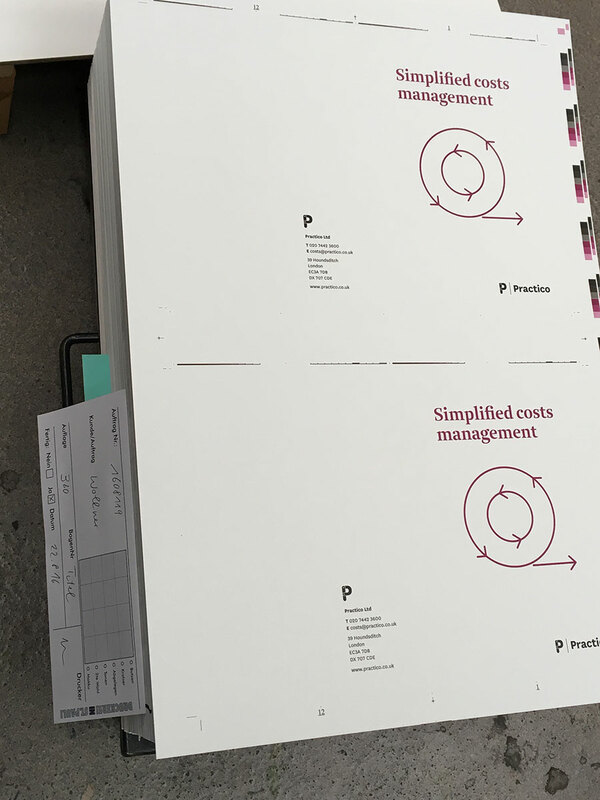 Printed offset in two colours on Munken paper, we really got to see the crisp elegance of the new typeface Brenta.